The Observatorio Vulcanológico y Sismológico de Costa Rica (OVISCORI) and the Red Sismológica (National Seismological Network) are keeping a very close eye on the Turrialba volcano after the colossus began a series of hybrid-type earthquakes early Tuesday morning. 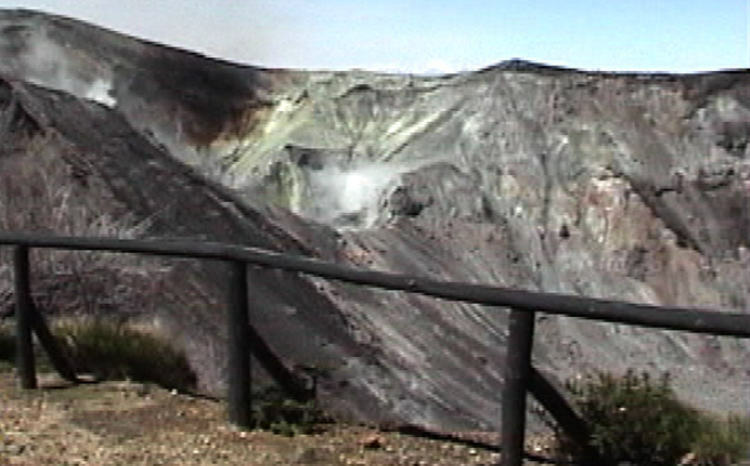 Experts say that more than 160 earthquakes have been recorded in the area of the volcano. The hybrid earthquakes was the cause of the massive spewing of ash. The OVSICORI reports that by noon Tuesday there had been a marked reduction in the emission of ash and earthquakes. However, gases continue to emanate from the crater. Both the OVISCORI and Seismological Network are continuing field inspections and analysis of what is occurring with volcano. Volcanos generate a variety of pre-eruptive low-frequency seismic signals. Hybrid earthquakes comprise a class of these signals having high-frequency onsets followed by low-frequency ringing. They are used empirically to predict eruptions, but their ambiguous physical origin limits their diagnostic use. The short-duration, near-field hybrid seismograms associated with the 2004 Mount St. Helens eruption indicate that much of the prolonged signal is due to path rather than resonating fluids.